Loss of hydrocarbon containment is a significant problem in refineries, not only for the potential environmental impact, but also due to the significant risk of fire and consequent danger to personnel, as well as property. By John Bromley-Barratt, Global Support Manager, Emerson Automation Solutions. In addition, any loss of containment must be reported to government inspectors with the possibility of fines or other restrictions. Finding new, more effective ways to detect the causes of hydrocarbon containment loss in refineries can save companies risk, money and time, as well as enhance their environmental and safety profiles. The global increase in the use of discounted opportunity crude oils with some having high total acid number (TAN) levels has emphasized the need for additional insight into refinery operations. A refiner needs to balance the discounted crude oil economics against the potential impact of accelerated fouling from incompatible crude blends, inaccurate blending to match properties to refinery design capabilities, and unexpected corrosion. For a major Asia Pacific manufacturer of petrol, diesel and aviation fuel, the company’s commitment to the HSSE (Health, Safety, Security and Environment) issues and policies of the refining industry involves strategic initiatives for environmental protection and personnel safety. One of the major steps the company takes to meet these commitments is to ensure the integrity of every pipe and vessel in the plant so there are no hydrocarbon leaks. Like many manufacturers, however, these inspections to detect erosion, corrosion or other damaging conditions were being performed manually, a process that can only realistically be undertaken monthly, biannually or even less frequently. This is particularly difficult in hot areas of the refinery where personnel access is possible only when the plant is shut down (this is why inspections are common during a scheduled turnaround). Testing every metal vessel manually for signs of erosion or corrosion takes considerable time, and there is a risk that a process change can accelerate the rate of metal loss before it can be detected using these inspection methods. The company challenged its integrity team to find ways of taking more measurements more often to improve the ability to detect and track excessive wear and tear and plan appropriate repairs. The company opted for a permanently installed corrosion monitoring solution, designed to operate for years without maintenance in inhospitable environments. The technology combines unique ultrasonic thickness sensors, which continuously measure pipe thickness, with a WirelessHART system, supported and fully compliant with the IEC 62591 standard, that can be installed anywhere the sensors are needed without instrument cables or power cables, thus reducing the cost and complexity of installation. The company already has an established WirelessHART network covering most of the plant, making it easy to implement and immediately see benefits from the new monitoring technology. These new sensors are also able to withstand temperatures of up to 600 degrees Celsius, making them ideal for continuous use in areas where manual measurements cannot be performed while the plant is operational. This system provides ongoing visibility of corrosion/erosion trends in real time. Permanent installation of sensors enables very high-quality wall thickness measurements by eliminating the major sources of error associated with manual inspection. With a measurement frequency of twice per day, the corrosion/erosion rate can be determined quickly and accurately, within 0.1 mm/yr. 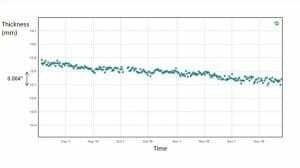 The resulting trend lines allow the points at which metal loss rates have changed to be quickly and easily identified, providing insights into the root cause of the changes in corrosion behavior. 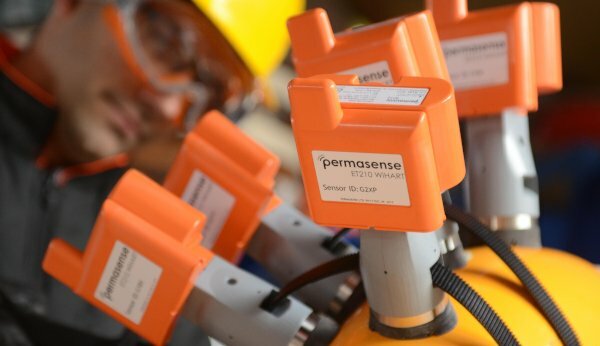 At the company, 10 sensors were installed in locations where standard manual measurements had already been taken and where some corrosion had been observed previously. The areas included both low- and high-temperature parts of the process, allowing testing of both low- and high-temperature sensors. Data was collected for a period of approximately 12 months to assess data integrity, the data analysis integration with existing processes, and any issues with data sampling and collections. All sensor types were easy to implement, and over the evaluation period, proved to be robust and valuable in the information collected. During the year, approximately 730 data samples were collected per point compared to a manual inspection program that would typically deliver only one or two data points over the same period. 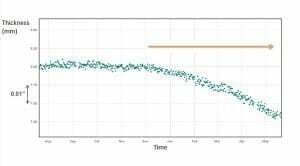 The analysis software includes a trending function that enables metal loss to be identified and presented as an annual loss rate. Should metal loss be identified, a common approach is to adjust process parameters to better mitigate the corrosion. Subsequently, the trends continue to be checked to validate the effectiveness of the corrosion mitigation strategy. Fortunately, no significant corrosion was detected during the evaluation period. Greatly improved the company’s safety profile by automating sample collection from inaccessible locations. The success of the evaluation period has prompted the acquisition of additional permanent monitoring systems for other high-risk locations. For oil and gas producers, the need to drive revenue by maximizing production rates from existing assets and minimizing downtime has never been greater. All the while, the assets must be operated safely to avoid HSSE incidents. The commitment of this refinery to the successful automation of a costly and risky procedure models the kind of steps that can be taken to enhance any refinery’s environmental and safety profile. The data from an advanced corrosion monitoring system can be used in several different ways, as illustrated below. 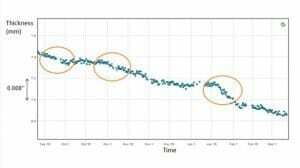 Figure 1 shows an example of the use of permanent monitoring technology wherein the measurements from one location over several months confirms that there is no metal loss – no corrosion or erosion. If this occurs at an inaccessible location, such as a crude overhead line, this indicates that expensive access does not have to be arranged for manual inspection before the next turnaround. If at a location where the risk of corrosion was uncertain, this could indicate there is scope to further optimize processes for increased productivity, such as increasing feed TAN levels. 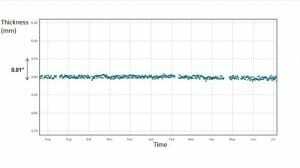 Figure 2 shows measurements from a single sensor location over several months confirming a consistent rate of metal loss. This enables forecasting of wall thickness if process conditions, inhibition strategy and feedback remain unchanged. This information will allow for predictive tasks such as maintenance, replacement or turnaround planning. Figure 3 shows no metal loss for a period of time, followed by the onset of metal loss, illustrating the value of knowing when this has occurred. The change can be correlated with changes in potential corrosion drivers, such as process conditions, inhibition strategy and feedstock, and further steps can be taken to mitigate the corrosion. Figure 4 shows a continuous picture of the rate of corrosion and gives valuable feedback on the impact of operating decisions on the plant. This example displays the impact of changes in crude blend and corrections to the mitigation strategy in response.